Riyad Mahrez hit back at accusations he had gone AWOL since being denied a move to Manchester City after returning to training with Leicester, paving the way for a possible return for Saturday’s visit to City. Mahrez, 26, has missed two Premier League matches and had not trained with the team since the move he desperately wanted to runaway leaders City fell through due to Leicester’s demands on January 31, transfer deadline day. “Over the past 10 days many people claiming to be my friend have spoken about me and things they know nothing about,” Mahrez said in a statement carried by the Leicester Mercury. Leicester have struggled without their star midfielder, losing 2-1 at Everton before drawing with struggling Swansea City 1-1 at home last weekend. “Riyad Mahrez has today returned to training with the Leicester City squad,” Leicester said in a statement, whilst a video of a smiling Mahrez training was also posted on the club’s Twitter feed. Mahrez’s sudden U-turn could see Puel provide him with the perfect platform with which to show City why they should maintain their interest when the transfer window reopens in the summer. “I want him to come back soon and play, because we enjoy watching him,” said City boss Pep Guardiola on the prospect of facing Mahrez. The Paris-born player’s frustration is born out of Leicester’s astronomical demands for a player they signed for a reported £350,000 from French second division side Le Havre in 2014. Despite a second transfer request from Mahrez in eight months, Leicester reportedly held out for £80 million, with even City’s cash-rich Abu Dhabi owners apparently unwilling to go beyond a deal worth £50 million plus a player City valued at £15 million, believed to be 21-year-old winger Patrick Roberts who is currently on loan at Celtic. City had been forced into trying to find a quick fix when German winger Leroy Sane was ruled out for at least six weeks by ankle ligament damage, joining a growing injury list of attacking players. Adding to Mahrez’s anger is that other heroes of Leicester’s stunning title-winning triumph in 2015/16 — N’Golo Kante and Danny Drinkwater — have been allowed to leave the club and join Chelsea with far less resistance. However, the club and player could come to a mutually beneficial agreement at the end of the season despite the tension arising from the recent stand-off. Leicester’s hand may finally be forced by the fact that Mahrez will have two years left on his contract, the point at which many clubs choose to cash in before the value of their prized assets start to depreciate. 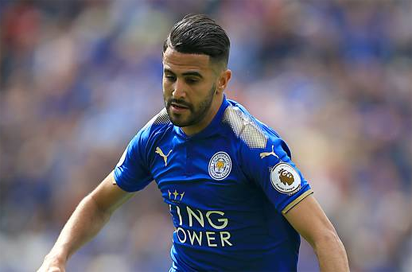 The post Mahrez rejects AWOL claims on return to Leicester training appeared first on Vanguard News.